What makes a book a bestseller? Obvious?! It sells many copies. But what actually makes one book a bestseller – and another not? My reading group recently read Shilpi Somaya Gowda’s bestseller Secret Daughter although I was very reluctant, I guess I was simply curious. When we took stock, two persons read it through and found it “OK”. One person read it on “fast forward”, one person gave up after 50 pages – and myself? – I left it when there was 50 or so pages left. The book is on display in whichever bookstore I enter and you can read it in more than 20 languages. To me, that is a mystery! My reading group, concentrating on Indian and other Asian literature, ended up discussing not the characters in the book or the plot – but rather; is this a good book or not? We reached some sort of consensus. 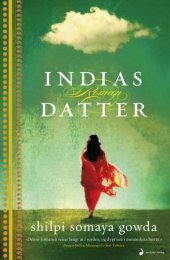 Secret Daughter has roughly six main characters; An American couple with an adopted Indian daughter. A poor Indian couple who has “lost” one daughter, put one daughter up for adoption and well, there is one son. So the main plot of the book? It goes without saying. My main objection to this book is the way the writer gives life to the characters. There simply is no life, as if they’re made of cardboard. And it’s not a story, it’s a rigmarole of events. 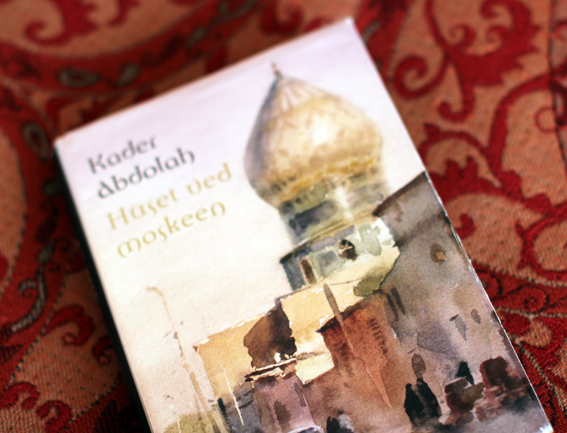 We left the book and moved on to the next: The House of the Mosque by Kader Abdolah. After only a few pages I felt I had a gem between my hands. It’s a family saga and the back drop is Iran, and moreover – the story leads up to the revolution in 1979. Secret Daughter told you a lot about Indian culture, but it was as if the author had a list of events that she wanted to include in her story. And then, check…. Abdolah tells a story and at the same time manages to include Iran’s bitter history in a very natural way. But it is the characters that most and foremost makes the book such a good read. They stand out as real, rise from the pages, and come to life. 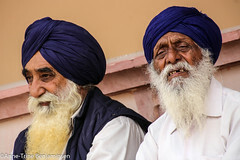 The book makes me curious, I’d like to step into the house, and the mosque; take the stairs up to the roof, sneak into the minarets… Go downstairs, get a glimpse of the “grandmothers” keeping the kitchen ship-shape, down to the pottery in the basement…. The book is about characters who give life to an environment, and vice versa.